Beginning his career as a photographer, ethnologist Edward S. Curtis (18681952) developed a powerful attraction to the native peoples of North America. He saw the erosion of their tribal culture as "a national tragedy," and sought to record as much of it as possible, ultimately producing 40,000 photographs of peoples from 80 tribes for The North American Indian. 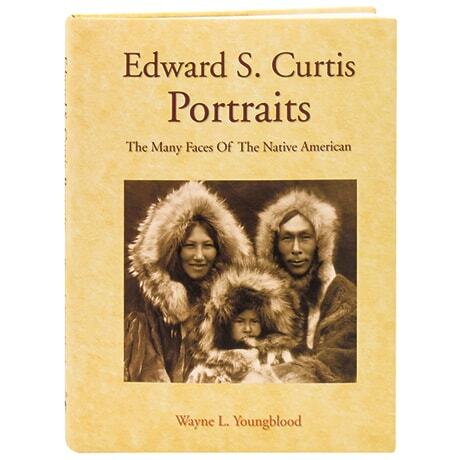 One of the most enduring aspects of this 20-volume masterwork was Curtis's haunting and powerful portraits—more than 250 of which are collected here, from images of Apache, Jicarilla, and Navaho individuals, dating back to 1903, to the Eskimo people he encountered on Nunivak Island in 1929.